With over half of diabetic patients suffering from diabetic neuropathy, it is quite a range of diagnosis. There are four different types of diabetic neuropathy. While all four cause the nerves to become damaged, each subcategory affects different parts of the body. Diabetic neuropathy can be separated into peripheral, autonomic, proximal or focal. Peripheral neuropathy is the most common type of diabetic neuropathy. Many people who suffer from this type of neuropathy have mild to severe pain in usually their toes, feet, legs, hands and arms. Peripheral neuropathy can be treated with medications, acupuncture, physical therapy and transcutaneous electrical nerve stimulation. Autonomic neuropathy affects the nerves that help regulate internal functions such as digestion, urination, sexual function, sweating and blood pressure. Autonomic neuropathy is difficult to control. Usually, doctors are able to help on a symptom by symptom basis. Because of all of the areas that autonomic neuropathy affects, patients can be on medications ranging from blood pressure medication to medications to help assist in digestion. Proximal neuropathy usually causes pain in the thighs, hips and buttocks. Because of where the pain is located, it can lead to weakness in the legs. Primary treatment for proximal neuropathy is keeping a diabetic’s blood glucose level under control. 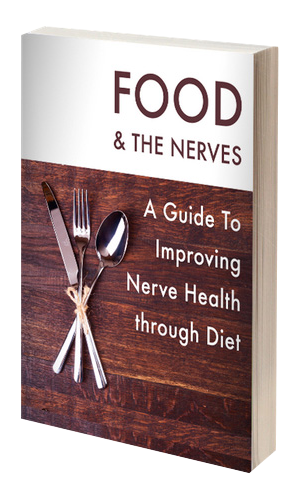 According to researchers, an elevated blood glucose level is the primary cause of pain in proximal neuropathy. Focal neuropathy is much less common than the other three types of diabetic neuropathy. Focal neuropathy can affect any nerve or group of nerves. Focal neuropathy causes muscle weakness or pain. Symptoms of focal neuropathy typically appear without warning. There is not a specific medication that helps with focal neuropathy. It usually goes away on its own after about 6 to 8 weeks. Sometimes doctors might prescribe pain medications to help the patient get through these weeks. While each type of diabetic neuropathy affects different parts in the body, diabetics need to remember that the best control over both their diabetes and neuropathy is keeping their blood glucose level in a normal range. Because diabetic neuropathy has no cure, it best to avoid it if at all possible. Proper diet and insulin usage can greatly help keep blood glucose level in targeted range.